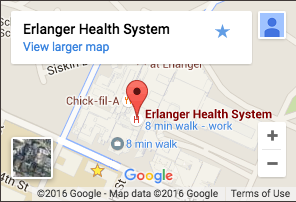 If you'd like to share a testimonial about your experience at Erlanger, we would love to hear from you. Just complete the form below and submit. We'll contact you if your story is selected to be shared more broadly in our online community. Please note - this form is for patient testimonials and Erlanger stories of healing only. If you have a compliment or a complaint a representative can be contacted directly at 423-778-7990 or by sending an email to: GuestRelations@erlanger.org. Include your name, contact information, and details about the compliment or complaint.